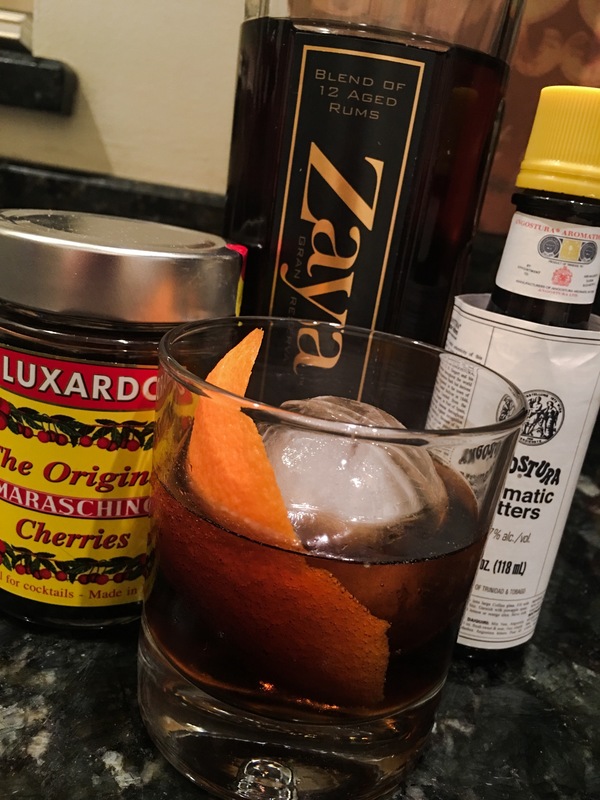 Have you found an online vendor selling Zaya Gran Reserva 12-Year? Zaya Gran Reserva Rum is a blend of 12 rums sourced from Trinidad and Tobago. Double-distilled from pure sugar cane in copper pot stills, the rums are aged in whiskey and bourbon oak barriques (225-liter barrels) for a up to 12 years. Zaya rum is distilled by Industrias Licoreras de Guatemala. Originally made in Guatemala, Zaya Gran Reserva is now produced in Trinidad." Taste: sweet , vanilla, caramel, nutty ,oak, smoky, little bit fruity/alcoholic . For me , a nice sipping Rum with a good finish. If you had to drink one rum this would be the one to drink. Easy to drink, works with everything, not too expensive and a great bottle to look at. Zaya is so perfectly smooth it will change the minds of those who claim they 'don't like' rum. It is perfect for sipping and one of the best tasting rums I've found yet. Best served on waffles. Sugary, oily, and overpoweringly vanilla-flavored. Plus, it feels creepily thin in the mouth. This stuff actually made me sad. This rum comes in a very nice thick and large bottle. The smell is very sweet with lots of vanilla and caramel. The taste is very sweet (vanilla, caramel) with a bit of spice and oak. The finish is long with some spice and oak. This rum stinks of cheap artificial vanilla flavour. There is no flavour there from aged rum. Just sugar and caramel. No smoothness either. I guess there was no aged rum to blend their product with. Maybe if you like Bacardi Oackhard a lot that you are willing to pay top dollar for extra caramel and sugar. Better buy vanilla Coke and add some gin. The first time I tried this rum I was overwhelmed. It was rich, smooth, the aroma itself was intoxicating. It paired incredibly with a spicy, full bodied cigar as well. I swore by it and highly recommended it to rum-drinking friends, and non-rum drinkers, too. Recently I purchased another bottle to replace my well-shared empty one. The first thing I noticed was the different label, bottle style and cork that had been replaced by a metal screw cap. They were omens of a tragedy yet to come. The aroma is way off. Instead of the delicate and sweet smell of vanilla and coffee, it smells like artificial vanilla in a tin can. The flavor is just as disappointing. Gone is the complexity of select blended and aged rums. This is flat, almost stale tasting, and where the previous incarnation left a smooth, warm finish, the new batch just tastes cheap and amateur; think watered-down Kalhua thinned with mineral spirits stored in a beer can! I blame myself for this bad purchase. Not only is the label design different, it is telling. The original Zaya Gran Reserva label stated "Aged 12 Years." The new label merely claims it is made from "12 selected rums." Caveat emptor. Now I must find another spiced rum to fill the void left by a poorly but cleverly disguised imposter. This rum is NOT to be confused with 12year old Zaya that existed before. It is a recipe that blends 12 "aged" rums. Sneaky, sneaky. I believe most of the reviewers that rated it very highly, probably may be referring to the 12 year old, but the new one has much "room to improve". Just grab some corn syrup, some alcohol and make it thin enough and there you have your current Zaya. 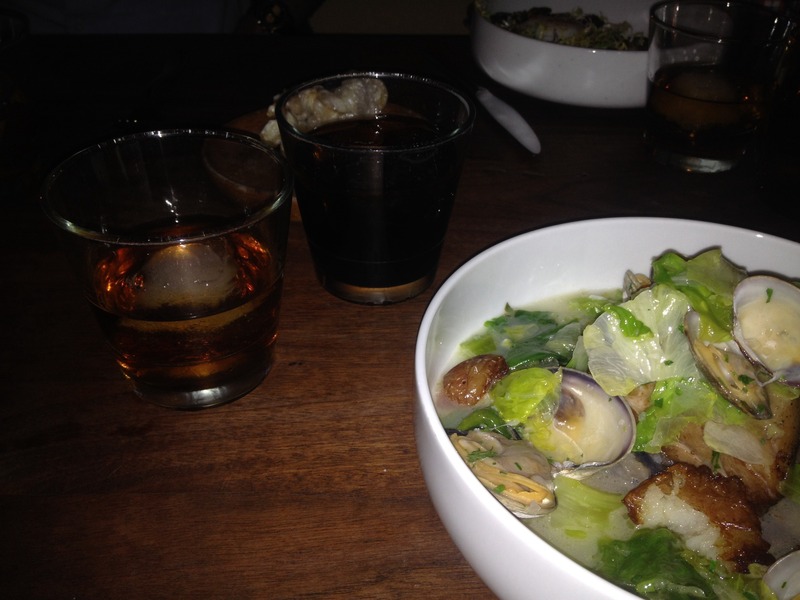 The rum is barely passable on the rocks, so I update my rating by 1 point. These guys seem to be milking the success of their previous recipe and deceiving people which is why I give it a 2 = 1 for deceiving folks but 1 more because it barely passes on the rocks. When I tasted Zaya for the first time, I sampled it along side other dark and rich sippers to include Diplomatico Reserva Exclusiva. Although sharing many of the initial qualities of DRE, it was missing a certain oomph (sp?). It smells of molasses and vanilla perfume or lotion (in a good way) with a papaya and pepper after taste. Good but still lacking something that makes it memorable. Seems like an easy door opener for those new to sipping rum. At $29 USD (01/2016), it's worth grabbing for making a quality cocktail or to sip on when your first choice has run dry. I had my hopes high about this one, I was severely let down. I hear tell the blend changed and not for the better. I hope the previous mix was nicer. This one tastes like gasoline raisin water and had bad artificial flavouring. Didn't even enjoy the smell and I'm not picky. I hear it's easy to tell which one is the good one based on the bottle wrap - mine is the false wrap. I will give the other bottle a try if the opportunity presents itself but, won't be spending my money on it. I'll admit I haven't tried every rum out there, but I have tried a lot, so I'll reserve 10 just in case I find better someday. Love the smoothness and vanilla undertones. Wonderful for sipping and a great value. Zaya is one of my introductory rums. It's where I started when I began drinking rum in the way that it was meant. Slightly sweet with a gorgeous caramel finish, this rum is an excellent way to end a day. The price point on the bottle is just about right (@$25/bottle) so as not to break the bank. We enjoyed the original parent of this much less deserving offspring...We are so sad. 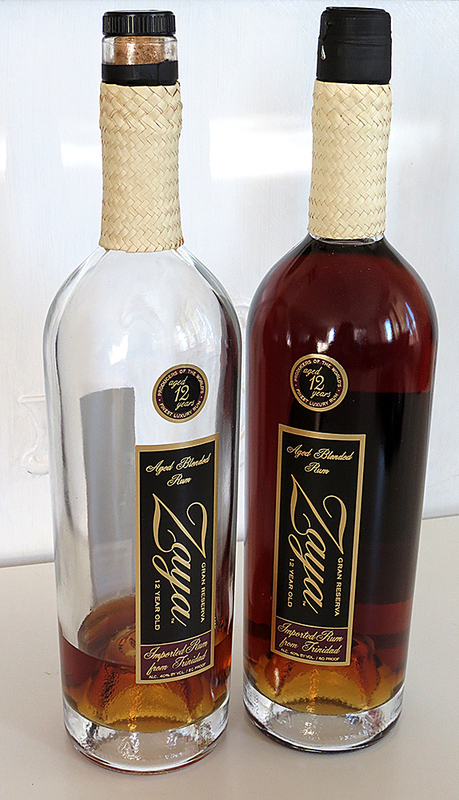 The original Zaya was from Guatemala, but due to Zaya losing out regarding distribution rights to another Solera Method rum company (which I will not mentioned, but it is way overpriced and not nearly as good as Guatemalan Zaya was), at last the demise of what Zaya truly was, a world-class rum. 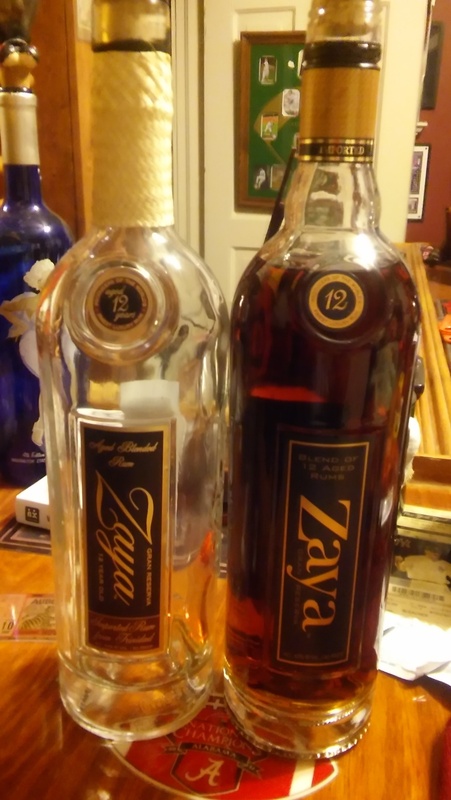 My husband and I have tried many many rums, and the original Guatemalan Zaya was in a class of it's own--flavor, richness, smoothness, subtle bouquet that came out all along the palate from start to finish and with a delectable balance...oh we so miss those days. Anyone here who may remember the original Zaya absolutely knows what I'm describing. Our crisis with Zaya's change began suddenly we noticed a distinct change in flavor with an unbalanced forward sweet (too sweet) and vanilla flavor, like it was artificially flavored or something. My husband also started getting headaches from it. We finally noticed the color change with the Trinidad version being darker, and also it was not nearly as smooth as the Guatemalan version. Lastly, it had a new "paraffin-ish" off-putting mouthfeel too. We stopped drinking it and then went on an exhaustive search for our beloved original Guatemalan Zaya, but everyone else who also knew about the switch had already bought out all remaining stocks; everywhere!. As luck would have it, we just happened to find a bottle of the original Zaya at a total dive liquor store. It was sitting way back on the self in it's own location without anything else around, almost like it was going to be discarded; and it had accumulated a copious amount of dust from sitting there so long. We immediately snatched it up and quickly took it home to enjoy! That was the last time we had our beloved Guatemalan Zaya...and we relished every sip! It was oh so good...We really wish Zaya would somehow be reproduced to its original glory from Guatemala. Not sure why they felt the need to "fix" something that used to work very well. I would not drink this if it was given to me except that it must be much cheaper to make. Gone is the rich, warm flavor and finish. Replaced by an absolutely vile tasting finish!!! This used to be my all-time favorite sipping rum, and indeed one of my favorite spirits of any kind to drink neat. I just picked up a bottle in the "new" packaging (different bottle, screwtop, no woven neck ring). See attached image: old packaging is on the left. 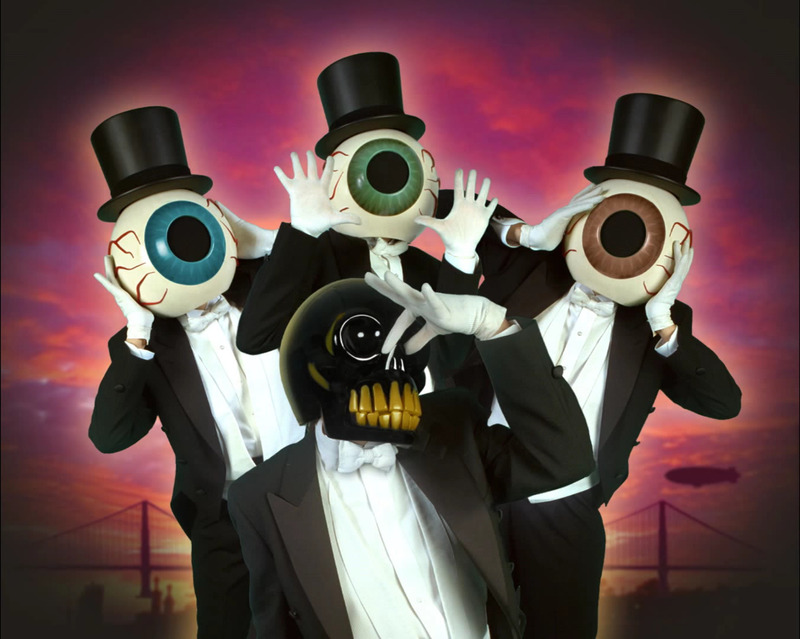 The "new" ZGR is simply awful. Either they radically changed the blend or a terribly bad batch got out. 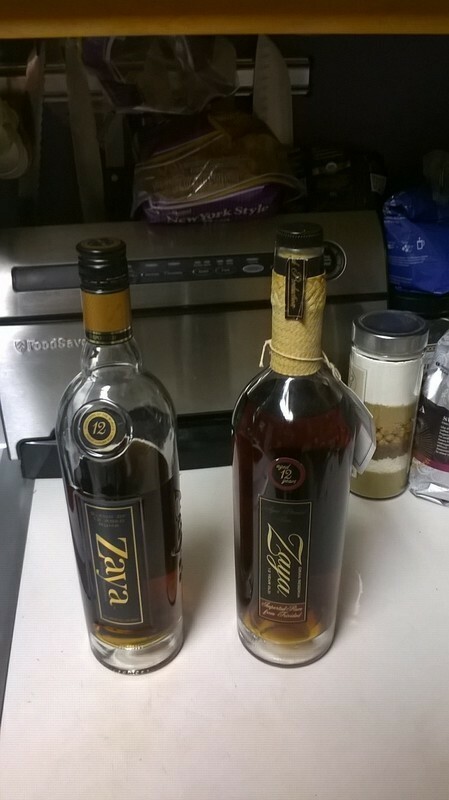 Shame on Zaya for screwing up what had been a world-class rum! Zaya Gran Reserv recently changed in many aspects - Packaging, and mix. It went from a really enjoyable experience and is now a nasty tasting cheap bottle of rum. The way I can tell the difference is the packaging - if the bottle has the real weaving, and a cork - that is the good stuff. If the bottle is a screw top with printed weaving - do not waste your money! Zaya Gran Reserva may be the best rum Trinidad has on offer. Very rich and quite heavy on the vanilla, this rum has superb complexity of flavor in the nose and on the palette. Perhaps best finish of any rum I've tasted (including Ron Zacapa 23 Solera). Here in New York, the price point makes it an incredible value. I was looking for a decent rum and this was recommended by a friend. Nose vanilla, taste sugary vanilla, finish vanilla extract. Maybe mixed with coke or ginger beer it is palatable. This rum has become disgustingly sweet. I'm offended this is even still able to be called rum instead of a ready-to-drink (RTD) cocktail. I have no idea how long the rum is aged in this mess, but if it's much longer than a year it's a big waste as all the sweetness being added to it completely overwhelms anything positive. Wish they would take this off the market rather than continue to give rum the overly sweet reputation it's still fighting to overcome! Can't go wrong with this one, offers a nice balance between smooth, sweet and complexity. Aromatic notes of vanilla, caramel, with hints of banana and cocoa. The palate is an initial taste of vanilla, cocoa and brown sugar, with a medium-sweet bodied with hints of oak and orange spice. After reading a post on the discussion board about how Zaya has become undrinkable swill under new ownership, I finally opened a bottle I had picked up last year while on vacation at what I thought was a great price of $25. i have to say I agree 100% with the guy who made that post. This stuff basically tastes like vanilla extract. I found an unopened bottle stashed in my cellar of the old stuff with real palm leaf wrap around the neck, and though it is a sugar bomb it at least tastes good. The new stuff either has a paper wrap around the neck or a metal screw top and collar. My newer bottle has the metal, but according to the guy who wrote the post the paper wrapped bottles are terrible too. I have heard this rum was awesome back in the days it was from Guatemala, unfortunately that was before I got interested in rum. The garbage stuff says "a blend of 12 rums" in the little round label on the bottle instead of "aged 12 years" on the older bottles. Classic bait and switch, avoid the newer bottles. I wouldn't buy this again at any price. Currently my favorite rum. It is a little sweet, with flavors of vanilla and caramel. Perfect for a dessert sipper. Do not waste as a mixer, drink this one neat. Great rum to share with friends after dinner. For $37 this is a steal. Palírnu s tímto jménem by jste hledali marně, jedná se o soukromou značku, kdy se pod názvem Zaya prodává směs rumů původem z Trinidadu a Tobaga, vybraná a namíchaná master blenderem. Dočetl jsem se, že dříve prý byla vyráběna z rumů původem z Guatemaly. Destilát je vyroben z melasy, zrál v sudech po whisky a bourbonu a jeho stopy vedou ke společnosti Trinidad Distillers Ltd, která spadá pod křídla firmy Angostura Ltd. Trinidad Distillers Ltd má na svědomí následující rumy: Ferdi's Premium Rum, Fernandes Black Label Rum, Forres Park Puncheon Rum, Kraken Black Spiced Rum, Scarlet Ibis Rum a Vat 19. Shrnutí: I po drobné korekci je to ve výsledku krásných 90 bodů. Hodně mi připomíná Angosturu 1919 a 1824, ale v chuti přidává navíc nasládlý rozměr. "Zaya rum is a slightly sweet entry followed by vanilla, cinnamon..."
"Zaya is clearly a sipping rum..."